The Metropolitan Museum of Art can be said to have started collecting Northern drawings in a systematic way only after 1993. 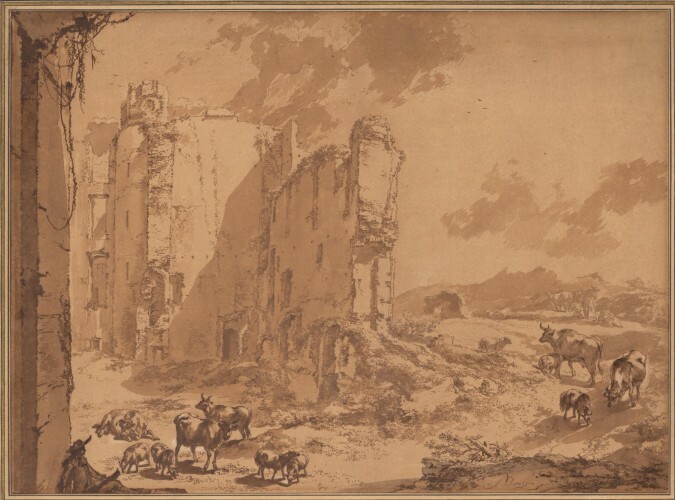 Naturally, this effort has been constrained by the availability of works on the market in these years, and it may be no coincidence that the collection of the Department of Drawings and Prints is now stronger in Netherlandish sixteenth-century and Central European seventeenth- to eighteenth-century drawings than in more traditional fields of collecting such as seventeenth-century Dutch and Flemish and early sixteenth-century German drawings. 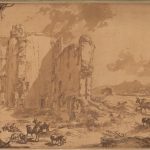 In the last four years, the majority of the acquisitions were made in the field of German, Swiss and Austrian art, but it has still proven possible to add more than one hundred Dutch, Flemish and Belgian fifteenth- to nineteenth-century drawings to the collection. A complete list of the acquisitions made between 2006 and 2009, ordered by school and by century, is given below; a slightly longer version of this introduction will be published in the forthcoming issue of CODART Courant. 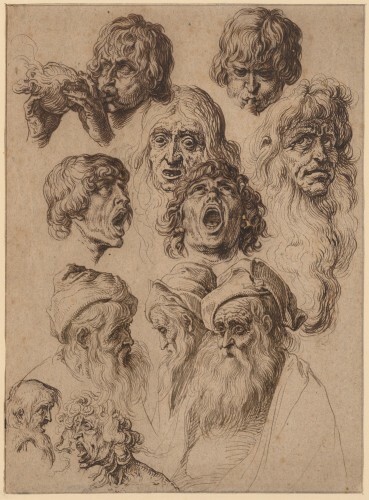 Obviously, some of the drawings on the list can only be called minor, but it also includes more important works by such sixteenth-century artists as Denijs Calvaert, Dirck Crabeth, Jacob de Gheyn II, Joris Hoefnagel, Karel van Mander, and the Master of Liechtenstein; for the seventeenth-century, works by Jan Asselijn (or Willem Schellinks? ), Balthasar van der Ast, Nicolaes Berchem, Hendrick Goudt, Dirck Hals, Gerard van Honthorst, Peter van Lint, Willem van Mieris, and Erasmus Quellinus; among nineteenth-century artists, a pastel by Fernand Khnopff deserves mention. Truly exceptional are two early Netherlandish drawings: one a sketchbook sheet by Gerard David, which will be published shortly by Maryan Ainsworth; the other, one of fewer than thirty known drawings by Lucas van Leyden. Because the department is stronger in Dutch and Flemish prints, acquisitions of Northern prints have focused on works from German-speaking countries. Some of the Department’s great print acquisitions of the past few years were done in that field, like the Master of the Playing Card’s Queen of Flowers, a fabulous impression of Schongauer’s Virgin and Child with an Apple, or Max Klinger’s wonderful portfolio Ein Handschuh from 1881. However, there are a few interesting works in the Netherlandish group, such as a group of anonymous proverb prints after Marten van Cleve; two funeral processions of Frisian stadholders by Pieter Feddes van Harlingen and the mysterious J. Hermann after Jelle Reyners; and a copper plate by Johannes Sadeler, Christ in the House of Mary and Martha. 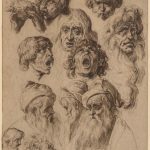 Although the Museum still labours to make its entire collection accessible on-line, most drawings in the Department – and all Dutch, Flemish and Belgian ones – are now searchable in an on-line database. For all but some of the larger sheets an image is provided. The sheer size of the department’s collection of well over a million prints, books, printing plates and blocks has resulted in slower progress in online data entry, but nearly 40,000 are accessible today. A dedicated effort to photograph the prints from all areas of the collection will begin shortly. 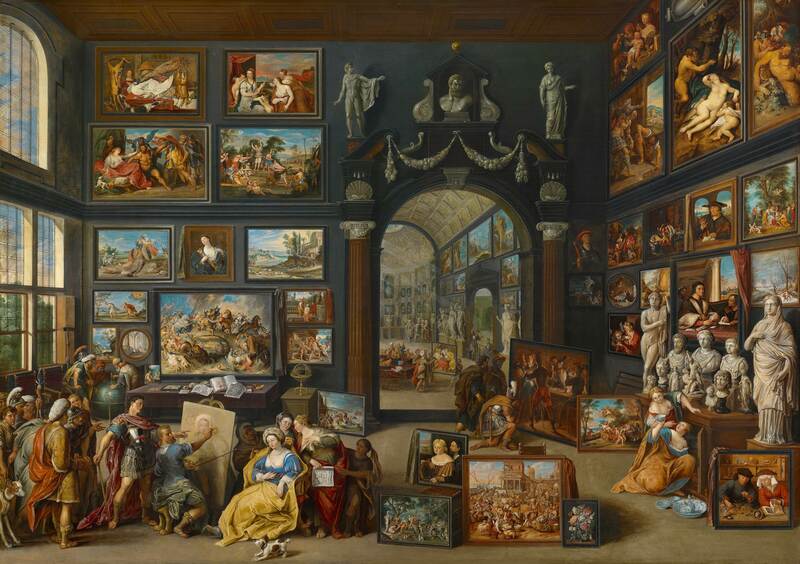 The department is committed to further enlarging and improving this database, and hopes that now and in the future it will serve the research needs and curiosity of all those interested in Netherlandish art.